Dr. Weston Barney graduated from Southern California College of Optometry where he received special recognition for excellence in patient care and clinical proficiency. He gained advanced training at the Moran Eye Center, SLC Veterans Hospital, Garden Grove Pediatric clinic, and Hoopes Vision, specializing in the treatment of ocular disease and management of LASIK, PRK, and cataract refractive surgery patients. Dr. Barney is licensed by the Utah State Board of Optometry and is a member of the Utah and American Optometric Associations. He is fluent in Spanish and enjoys traveling to provide vision care to underserved regions. 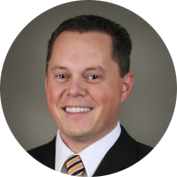 Dr. Barney was born in Richfield, Utah and currently resides in Herriman with his wife, Jennie, and their five daughters.